But I’ve yet to spend a lot of time covering what I talked about during my presentation and why I shared my perspective in the way that I did. Sure, you can watch the video on WordPress.tv, but if you’re interested to read more about the presentation (and watch it in the middle of the context that I’ve provided), be sure to check out the article. Principles and Foundations Over Technology. In this section, I talk specifically about managers, developers, and designers. Go Deep Rather Than Wide. Here, I share some of my experience in going into self-employment and some of the lessons I learned the hard way (and how you can avoid them should you choose this route). Stay Aware of What’s Out There. I’m a fan of going deep rather than wide when it comes to learning a set of tools, but that doesn’t mean I think we should keep our heads in the sand. Here, I talk about how to keep up with what’s out there without wasting our time. Connect With Those Who Know More. Although this sounds a bit simplistic, it’s also meant to be practical steps that you can use to improve yourself continually while you’re away from your computer screen. Again, I go into all of this and more in the article, and it features the video, as well. So if you’ve not read it or watched it, and any of the above sounds interesting, feel free to do so. You’ll even hear a little bit about how I wanted to forgo college to pursue a career as a guitarist. 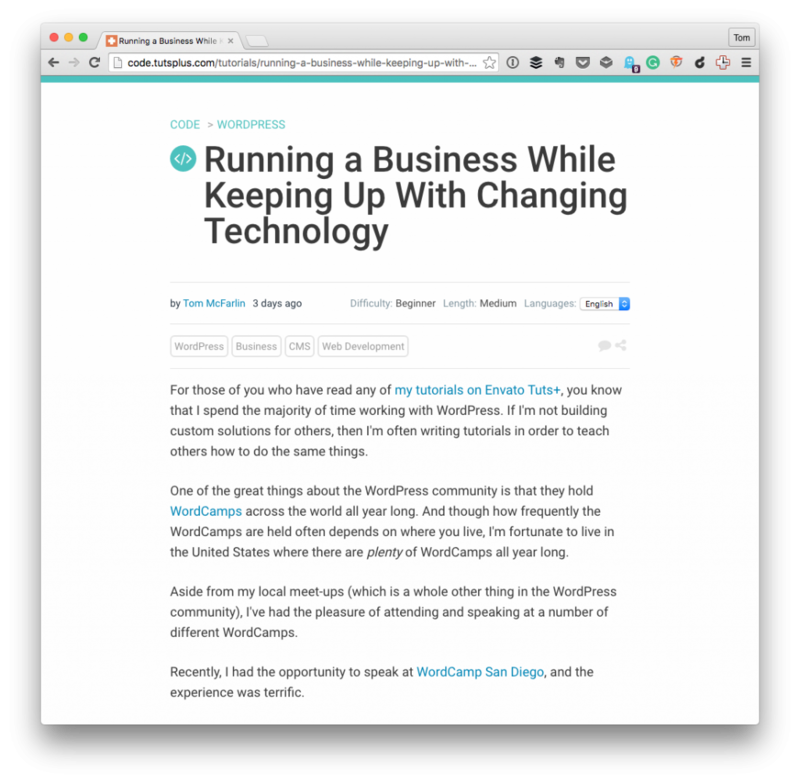 And yes, I tie that all back into working with WordPress. If you have any comments, please leave them on the original article.